I think if Gifts was ever unbanned it would be like 95% stapled to Unburial Rites and I am unsure how people feel about that. Another reason that BaaC list is very weird is how often honestly do see a Commander like Derevi in the 99 of a deck anyway? 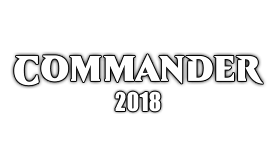 Saying that if this is reinstated we will have to ban these Commanders who are just fine now feels very strange, also don't see many Arcum's running around not in the Commander spot. Holding cards legality hostage that if that article is being honest they already have huge problems with. I do think Ajani Vengeant would be a bad card to build around. You can't build around the first two abilities... they are just controlling abilities. If you want to build around the ultimate, then that is the problem. I think any planeswalker with a gamewinning ultimate would have to be banned as a commander. Since there is no BaaC list, they would be outright banned. Sheldon mentioned this in his article about this thread - making all walkers commanders would also force them to ban a large portion of them. Ajani Vengeant or Liliana of the Dark Realms are cards with generic uninteresting abilities when they are cast. I assume if you are building them it is to abuse the ultimates. So if 95% of their commander decks are made to force the ultimates, I think that they need to be banned as a commander. Braids, Cabal Minion is not a terribly broken card. It just makes broken decks. And the RC doesn't want those decks around. I am very much against PW generals that can win the game by themselves. If they combo with one other card - fine, it is the same as many other combos in the format. But being a self-contained win con is very frustrating. 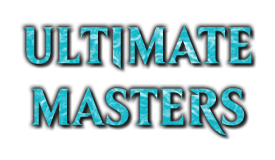 My 'rule' for PW commanders would be: "if you can build around the first 2/3 abilities, it's good - if you can only build around the ultimate, it is not good for the format because all of the decks it will enable will be the same"
I don't understand this point of view at all. It just sounds like creating weird arbitrary rules. What's wrong with building towards a game ender with your general? Are we worried that people might win a game after establishing complete board control? That sounds perfectly reasonable to me. 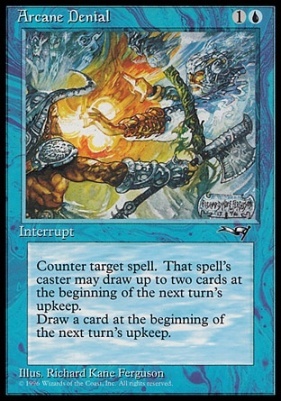 They take their 4/5 mana walker and untap with it repeatedly, I'd hope they get some huge play off of it, because their + abilities are usually very small effects. Keep in mind there are a number of generals that people just run for the colors and almost ignore the general outright. I find that knowing that the ultimate will end the game warps the game around that general. 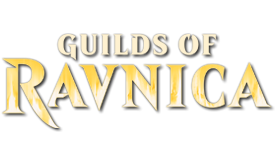 I think that certain generals, like Ajani Vengeant and Liliana of the Dark Realms, or Dovin Baan, will focus entirely on the getting to the ultimate. There will be no variability - they will all be those decks. It is hard to deal with a commander that can win the game by itself and is immune to boardwipes. You can hope to attack it... but these walkers only enable one deck - Spam boardwipes until you ult. I don't think it's fun. I don't think it helps Commander. I am very much against PW generals that can win the game by themselves. [...] But being a self-contained win con is very frustrating. So, better ban every commander that can turn sideways and win with general damage? Ack, watch out for those dreaded Elder Dragons! After 3 whole turns of uninterrupted attacking, they'll kill you all by themselves! Clearly too powerful for EDH. Ban plz. Combat is easy to interact with. you can block. Planeswalker commanders do not need combat damage, they can just keep the board clear and fog until the game is over. I don't know... I think there are a lot of unfun generals that only enable turbo fog decks. I think you are being extremely not generous to how people build decks to assume that all Walker led decks will be the same, we already have a bunch of Walkers that can be Commanders and those don't all turn into board wipe fests. You are saying with that bit about him that you are more worried about someone paying 3 mana and not being disrupted for 4 turns in a row than someone playing the same effect of that accumulation for just the 3 mana in an artifact? If someone wants to take that much time to build to that effect sure why not, that doesn't seem like it is that much value or that powerful even. Planeswalkers do not live that long in the Commander games I play now, I don't think peoples desires to keep them down will lessen at all if you make them the Commander. So much speculation and assumption that just feels off with how the cards are used at present. I feel like the logic there is kinda weird. We brought a thing back so we have to add more things to it is very strange. 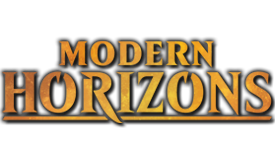 You can't in the same breath as for people to explain what Planeswalkers people would like to build around or think would be fun and then dismiss it as another thing that does X Y or Z like that is a fair and not over harsh qualification to have. Commanders of all stripes are more than just the deck archetype they fit into I feel like this is pretty obvious and should need to be litigated. Ajani, Mentor of Heroes, Ajani Unyielding, Ajani, Valiant Protector: All would make incredible GW Commanders of a midrange / hatebear variety. Ajani Vengeant would make an incredible Boros Control commander it is shame the stigma that exists around destroying lands. Ashiok, Nightmare Weaver: This form of Blue/Black control would be fun. Saheeli Rai: Izzet Tokens on a lower CMC Commander with so much potential. Tezzeret, Agent of Bolas: Dimir artifacts has a lot of space open in it and a lot of the Tezzes fill that role. Now before you type that response that is something to the effect of that is 11 out of 178 planeswalkers what about all the other ones. If I had to make a guess I have made Commander decks with probably 50 different Legendary Creatures and there are 838 of those so expecting one person to like or want to build with everything is and will always be foolish. I am not sure you are getting my point. You are saying Ajani Vengeant would be fun... but why? Is lightning Helix fun? It's just a removal spell. Is the +1 fun? If you are thinking it would be fun for the ultimate then you are going about it all wrong. Alternate win cons in the command zone are highly unfun unless the hurdle to get there involves a lot. Playing a million board wipes and ultimating your planeswalker is not a fun or unique strategy. Most of these other suggestions actually make a lot more sense. I could see building around the first two abilities. 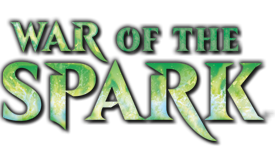 So then the question becomes: Are you prepared for all the Ajani Vengeants and Tezzeret the Seekers and Liliana of the Dark Realms to be banned in Commander? 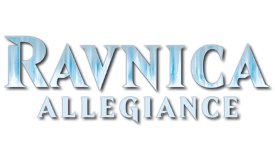 I honestly would be fine with making all planeswalkers legal if we brought back Banned as a Commander list. But because so many planeswalkers are self-contained win conditions that promote nothing but stalling the game and spamming the commander until you ult, I really think about 1/3 planeswalkers would need to be banned. Maybe we should make a poll for the Banned as a Commander list. If we voted in favour maybe the RC would have to consider it. I don't think any of the 3 cards you listed would have to be banned, not nearly close to it. I think everyone in this thread talking about bannings is way overhyping the power of these cards. Anyone have a good example of this mythical Planeswalker that is developed that is at the same time fair and balanced in Standard and Too Strong in Commander? Narset and Leo were 10000% designed with EDH at least in some part of mind, I think that is true for all Legendary's developed after the format got popular. Taleran posted a message on Talk - It is conceading fair play to you? The Bribery examples are very bad. Other players have no business forcing you to sit at a table and play a game with them for a second longer than you want to. Nobody is talking about "forcing" anyone to anything. I am talking about good behaviour, sportsmanship, not ruining the game for your friends (I am not talking about MOL). Declaring that someone should only be allowed to leave the game at a speed other than whenever for any reason is doing that and potentially putting people into very bad situations, regardless of the original intention of this. It is why I am very wary and skeptical of trying to rigorously define any kind of standard that people will assume is true. New Argument to the fore.